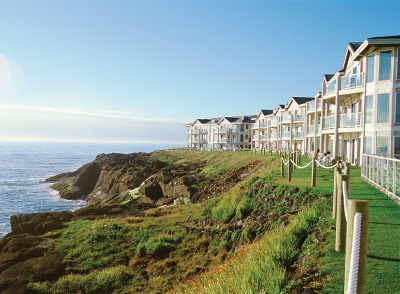 Trying to decide which Oregon beach vacation rental to visit  WorldMark Gleneden or WorldMark Depoe Bay? Situated less than six miles apart, these two resorts offer you the best of both worlds. Myrna Souply, Front Desk Manager at Gleneden and formerly employed at Depoe Bay, helps highlight the best of both worlds. "Depoe Bay provides 100% view, with frequent and close whale sightings, while Gleneden does not. But Gleneden does have the beach-front access. It sort of balances out depending on the needs of the owner. People with families tend to want to take their kids out to play on the beach, making Gleneden a perfect choice. However, Depoe Bay does have three pools, one of them indoors, whereas Gleneden only has one and it is outdoors, but it does have two spas. Note: According to the WorldMark Governing Documents, there is no "day use between the two resorts unless a pool is down for maintenance, in which case passes would be provided for owners to use the nearby resorts facilities. Owners must use the facilities at the resort where they are staying. In terms of room preference, Gleneden provides more room-type options with one-, two- and three-bedroom units while Depoe Bay only offers two and three-bedroom units. 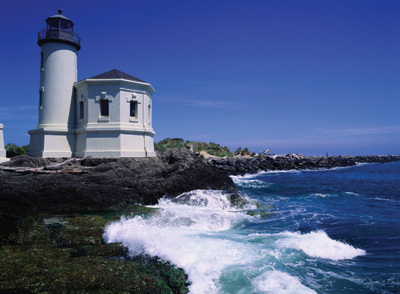 Depoe Bay is located right in town  walking distance to some places, offering a lot to do. Gleneden is more remote and quiet  set back off the road and very near the Salishan Golf Course. These two beautiful resorts really do equal each other  it just depends on what you want to experience on your vacation  secluded beachfront or the views of Depoe Bay, located right in town. "Call the resort! Please, please call the resort if you have a question, need something special for your room, or have any resort or room specific questions. For example, if vacationers call ahead to let us know they will need a crib, a high chair, a bed joiner to create a single larger bed, or to inform us of special accommodations needs, we can be better prepared for them upon arrival. For those with special needs, Depoe Bay has elevators in all buildings. Gleneden has elevators, but not in the back building. Many owners with special needs may not realize that the way these resorts are built, they may not even need a "special needs unit. The doors in most regular units are wide enough and the units spacious enough for wheelchairs and even scooters. We are happy to talk through exactly what they need and see how we can meet that need. We have raised toilet seats and at Depoe Bay, we can even switch out the shower heads. Tell us, what exactly do you need? How can we assist you?" 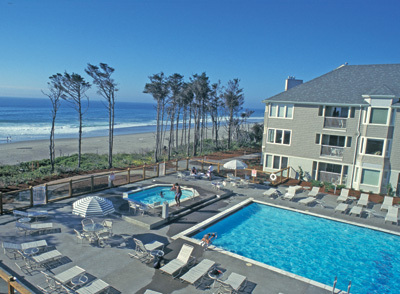 Click here to check availability for either Oregon beach vacation rental, or for any of my six other Oregon timeshare rentals. This article about Oregon beach vacation rentals was adapted from an article that appeared in our timeshare owner's magazine.